How should we remember someone after they pass away? 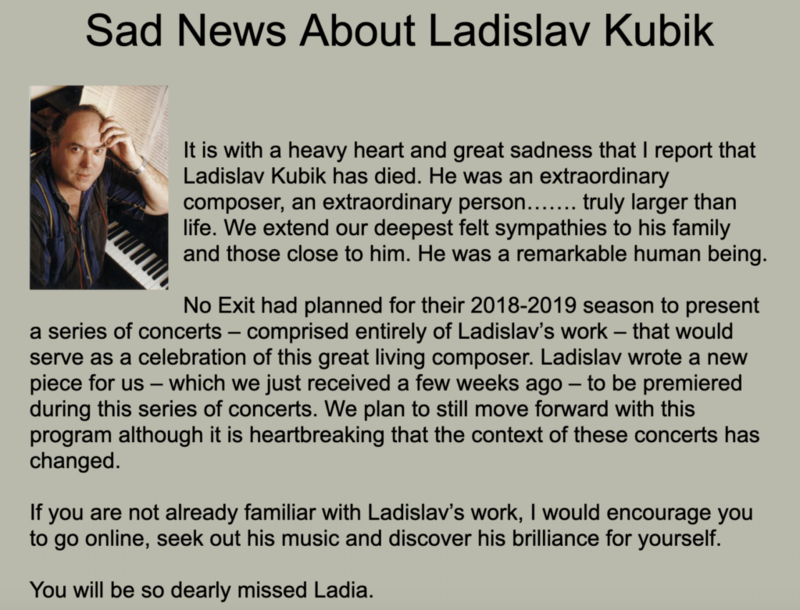 Czech-American composer Ladislav Kubik died in 2017, and many of the obituaries written for him described an impressive career — from his Guggenheim fellowship to first prizes in several major competitions and a 26-year teaching post at Florida State University. One short article included below went in a different direction. You got the sense from reading it that this writer really knew Kubik, and that his loss was personal. 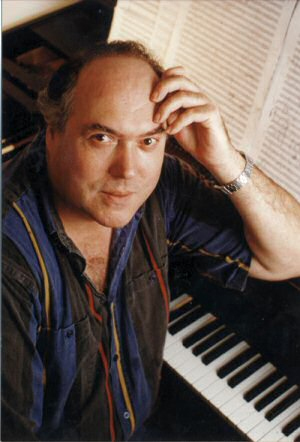 The writer was Tim Beyer, director of No Exit. 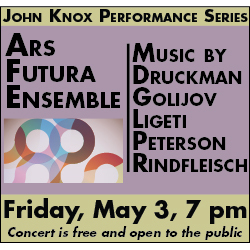 And that new music ensemble will give the premiere of Kubik’s 2017 Nocturnes in three free concerts next week devoted to the composer’s works. Nocturnes, a No Exit commission, turned out to be Kubik’s last completed piece. 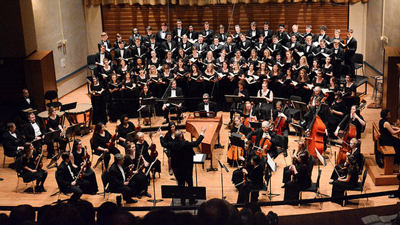 The performances take place on Monday, April 15 at 8:00 pm in Drinko Hall at Cleveland State University, Friday, April 19 at 7:00 pm at Heights Arts, and Saturday, April 20 at 8:00 pm at SPACES. 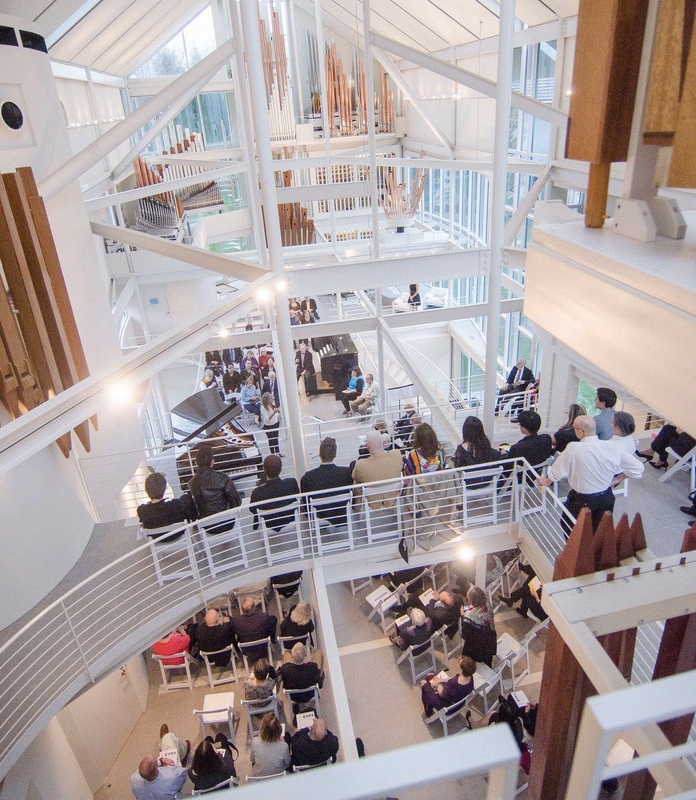 Years ago, as a composition student at Cleveland State, Beyer made a trip to Prague to study with Kubik at his Czech-American Summer Music Institute. That came on the recommendation of Greg D’Alessio and Andrew Rindfleisch, Beyer’s two teachers, who had also attended the festival. 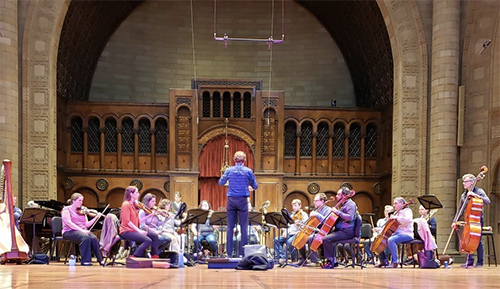 When No Exit commissioned Nocturnes, the plan was to have Kubik visit Cleveland to be here in person for a retrospective of his works. “He sent me a handwritten copy of the piece, and by the time I got it and tried to get in touch with him, he had passed,” Beyer said. 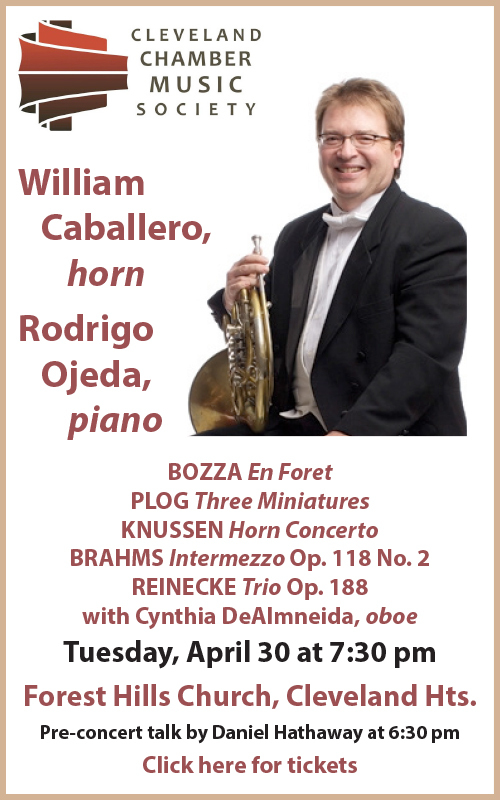 No Exit will surround that world premiere with Kubik’s 1979 Duo Concertante for violin and piano, 1978 Sonata for viola, 1995 Elegy in Two Movements for cello, and 2003 Trio “Metamorphoses” for clarinet, cello, and piano. 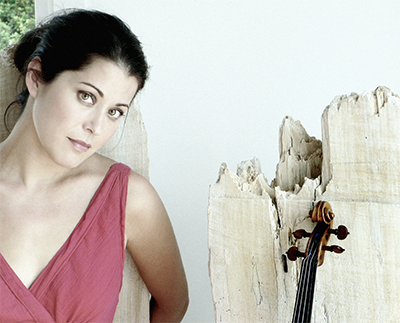 Beyer said that both Petr and Magdalena, the composer’s daughter, will be in town for the second and third concerts of the series. 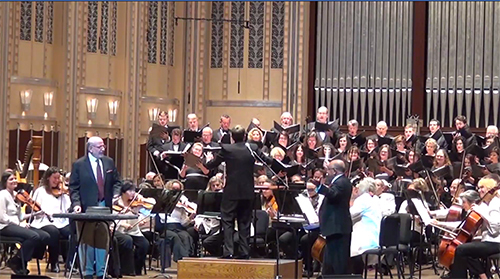 Published on ClevelandClassical.com April 9, 2019.